Soak moong dal for 3 to 4 hours. Blend together soaked moong dal, curd, cumin seeds, green chilli, garlic, salt and make smooth paste. You can add more curd to adjust batter consistency. Batter should in pouring consistency. 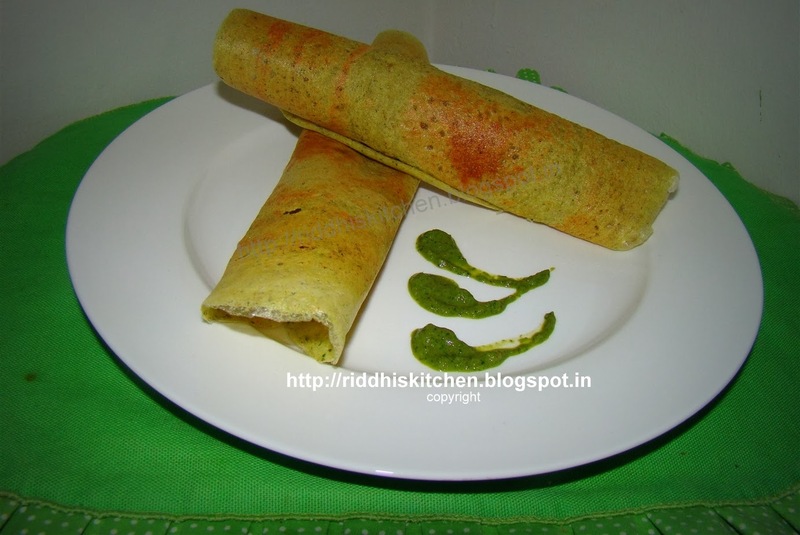 Mix dosa batter and moong dal batter, mix well. Heat flat tawa. Grease with little oil. Pour a ladleful of batter and spread to as thin dosa or pancake. Pour little oil around the pancake or dosa and let it cool till it become crispy. Fold dosa and remove.